Nandamuri Balakrishna’s 99th film Dictator is one of the much anticipated films of the season. 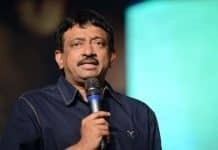 The talkie part of the film is likely to be wrapped up by the first week of December and grand arrangements are being made for the audio launch event which will be held in Amaravati. In the meantime, the makers have signed up popular Hindi actor Nawab Shah for a crucial role in the film. It is learnt that he will play the leading antagonist role in the film, which also features Kabir Singh and Vikramjeet Virk as villains. The makers had initially approached Bojpuri actor Ravi Kishan for this role, who backed out in the last minute due to his busy schedule. Sriwaas is directing and co producing this action entertainer. Anjali, Sonal Chauhan and Aksha are the female leads in the film. SS Thaman is scoring the tunes. The film is slated to hit the screens on January 14th, 2016.